Z-One Jagger Bleach is a classic light blue denim wash but with a modern twist for the urban guy with style at the top of his list. 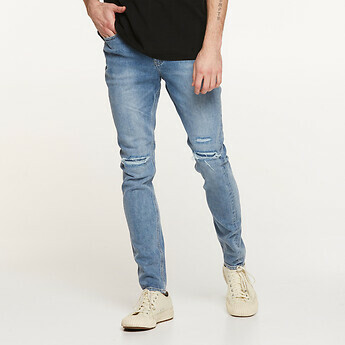 Design to be worn low on the hip, the Z-One jean in our vintage bleached back indigo denim is slim through the leg and tapered into a skinny fit at the ankle. Designed with stretch fabric, riveted and triple stitched for added durability.